The actuals of this style are sparse and fresh for me so that I see a smaller windshield and a bigger radial and less draft to the floats. Which means I am not looking carefully but struggling to land a Cessna 190. 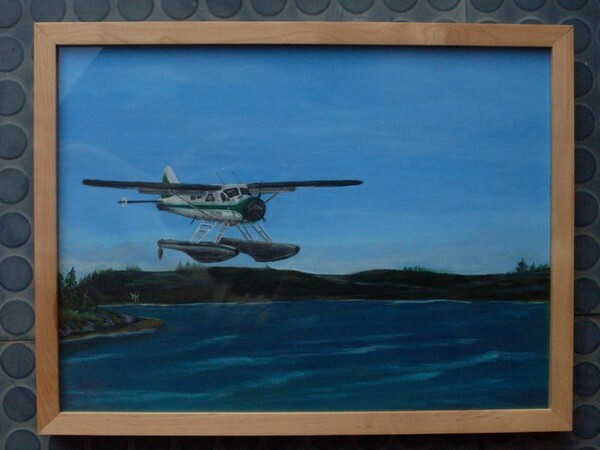 Artist Reply: Thanks Joanie...I love painting aviation. Aviation has always been part of my life...so, it`s great to put it onto canvas...I have lots to learn though when compared to quite a few aviation artists.